By FELIX MASCHEWSKI & ANNA-VERENA NOSTHOFF: In 2017, Denmark sent the first digital ambassador, Casper Klynge, to Silicon Valley. The aim of this move of ‘techplomacy’ was, as Klynge explained, not simply to distribute greetings notes by the Danish queen. Rather, the intention was to ‘update diplomacy’ based on the recognition that a few tech companies have obviously become much ‘more influential than some nation states’. Klynge framed the new political course in the manner of a well-known old but still utterly contemporary mantra: ‘There is no alternative’. In a similar vein, Denmark’s Foreign Minister Anders Samuelson highlighted the importance of the step as follows: ‘Just as we engage in a diplomatic dialogue with countries, we also need to establish and prioritize comprehensive relations with tech actors, such as Google, Facebook, Apple, and so on. 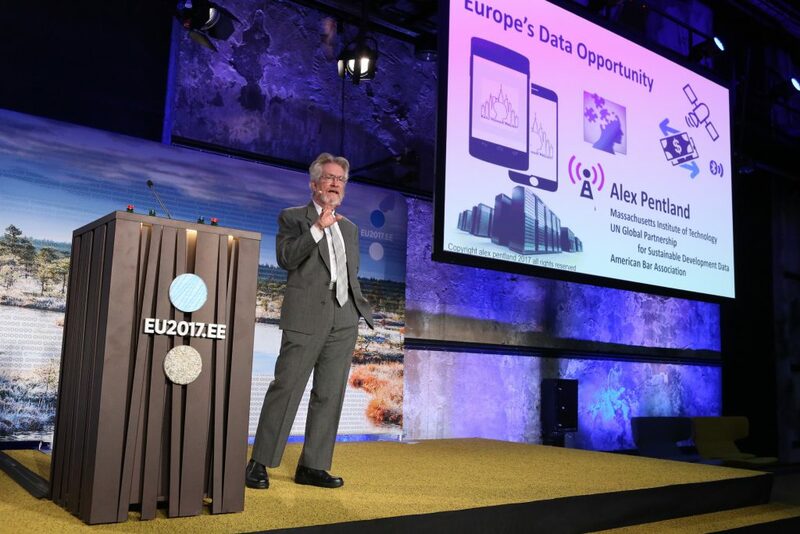 (…) The idea is, we see a lot of companies and new technologies that will in many ways involve and be part of everyday life of citizens in Denmark. Denmark and France are just two of many examples. One might also add the relationship between the ‘Facebook-President’ Barack Obama and Mark Zuckerberg; more practically, regarding the realm of healthcare, between Obama and Eric Schmidt; or, regarding the current realpolitik order, PayPal founder Peter Thiel’s advisory activities for Donald Trump; among others. They represent an (a-)political way of thinking which follows the tech-laws of solutionist efficiency in the first place. Its rationale was nicely summed up by a slogan promoted by the German Free Democratic Party (FDP) during the country’s 2017 election campaign: ‘Digital first, Bedenken [which is German for concern or reflection] second.’ Indeed, it seems that political leaders across the globe have come to realize that many tech entrepreneurs have arguably overrun a variety of states when it comes to power, money and – one might add – influence. The political reactions to this new awareness are homogenous, as is also exemplified by Canada’s Prime Minister Justin Trudeau, who, in October 2017, pitched his own country as a ‘Silicon Valley, plus everything else Canada is’. Against this background, he recently characterized the tech player Google as a welcoming ‘partner who is determined to find innovative solutions to make our communities even better places to call home’. Thus, Trudeau’s invitation to Alphabet Inc.’s Chairman Eric Schmidt and the subsequent plans of Toronto to ‘sell’ a part of its city (i.e. Waterfront, sidewalk labs) to Google for it to serve as its new playground for experimenting with proprietary AI-based products and services was not surprising. As Schmidt claimed after the deal was set in stone, the hope is to create something important and powerful that might give rise to new ideas that can be adapted and implemented in various other cities around the globe. Prime Minister Trudeau delivers remarks on the future of Toronto’s Waterfront. The idea to implement tech on new political test grounds is also mirrored by recent digital initiatives which focus more explicitly on the nation-state. The most poignant concepts in this realm include ideas such as ‘algorithmic regulation’, ‘government as a platform’ (Tim O’Reilly), ‘direct technocracy’ viz. ‘info-states’ (Parag Khanna), ‘smart states’ (Beth Noveck), or ‘social physics’ (Alex Pentland), to name a few. It is vital to explore some of these concepts in greater detail and on a more theoretical and philosophical level. What form of politics is implicitly being promoted in this context? As we argue, this question is best examined against the background of an understanding of these concepts as very idiosyncratic reformulations of cybernetic approaches to the political, which date back to the 1960s. We explore how the implicit visions and concepts rearticulate early concepts of cybernetic politics in their insistence on the vitality of feedback structures, in allegedly blending hierarchy with tenets of decentralization, in shifting the focus from the individual to the interrelations between humans, including the social fabric encompassing them and, most importantly, in how far this might raise problems. 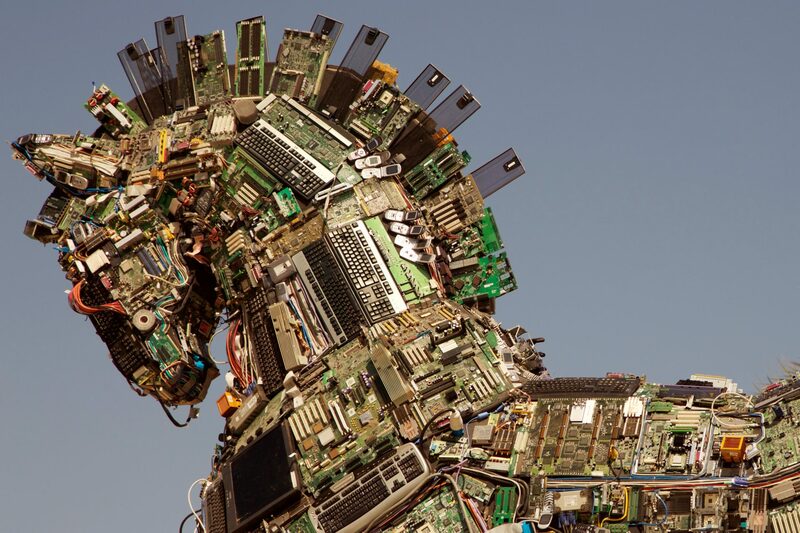 Subsequently, this rather theoretical perspective will allow us to examine the extent to which such neo-cybernetic concepts promote a rather reduced vision of the political, or politics as such. As we argue, current approaches to ‘smart’ states or cities and their corresponding models of governance mark no entire automation of politics but at least in certain respects, a pragmatic actualization of cybernetic visions of the state against the background of surveillance capitalism. As such, theoretical dispositifs that have emerged from early ideas of cybernetic politics are still marking certain effects. More so, we are in a period in which smart technologies are becoming ever more ‘intelligent’, increasingly invisible and ever more difficult to comprehensibly grasp; therefore, it is all the more crucial to understand their cybernetic origins alongside their political connotations. To name a prominent and much-discussed example, Stafford Beer’s socialist cybernetic project to regulate Chile’s economy and politics through feedback systems at the beginning of the 1970s, was still based on the implementation of telex-machines, whereas current neo-cybernetic politics are able to instrumentalize sensor systems, algorithms, AI and, thus, an entire environment designed by digital techniques that are significantly more complex. Such ‘smart’ techniques are far more suitable to potentially implementing and actualizing what various political cyberneticists already envisioned a few decades ago, when the internet was still a centralized ‘Arpanet’, Wiener’s ‘Cybernetics’ had just become a revolutionary surprise bestseller and Silicon Valley was just about to become the melting pot of a new counterculture. 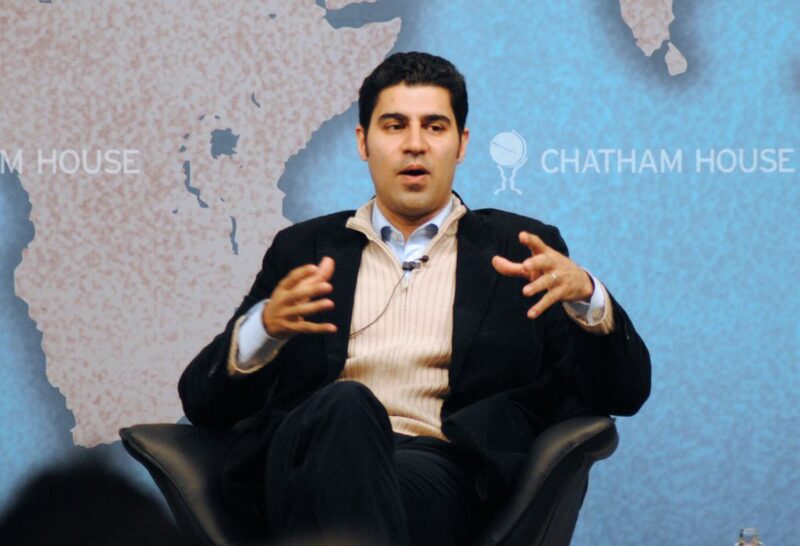 The Indian consultant and political scientist Parag Khanna has recently revitalised a new variant of technocratic governance that he terms “direct technocracy”. Khanna’s neo-cybernetic agenda can, in parts, be traced back to Tim O’Reilly, one of the first defendants of neo-cybernetic concepts. O’Reilly coined the term ‘algorithmic regulation’ around 2011 and ‘government as platform’ in 2010. Here, ‘regulation’ is in no way comparable to any traditional notion of government regulation; in contrast, O’Reilly’s aim is to replace regulation with reputation, that is, government with algorithmic regulation, such as with mutual ratings. For instance, he argues that services such as Airbnb and Uber can provide valuable models for providing maximum efficiency and oversight. Thus, according to O’Reilly, they do a great job ensuring quality and availability while ‘drivers who provide a poor service are eliminated’. Albeit O’Reilly is not as specific as Khanna on the countries that should serve as role models for proper neo-cybernetic politics, and seemingly envisions an agenda that is less state-centric than Khanna’s, he is equally focused on depicting the government‘s prior function as a ‘service provider’ while openly propagating to outsource most government activities to the private sector: ‘The whole point of government as platform,’ O’Reilly argues, ‘is to encourage the private sector to build applications that the government didn’t consider or doesn’t have the resources to create.’ This argument seems close to some suggestions by political scientist and ex-Obama-consultant Beth Simone Noveck, who is also a member of the ‘Digitalrat’ recently announced by the German Bundesregierung. 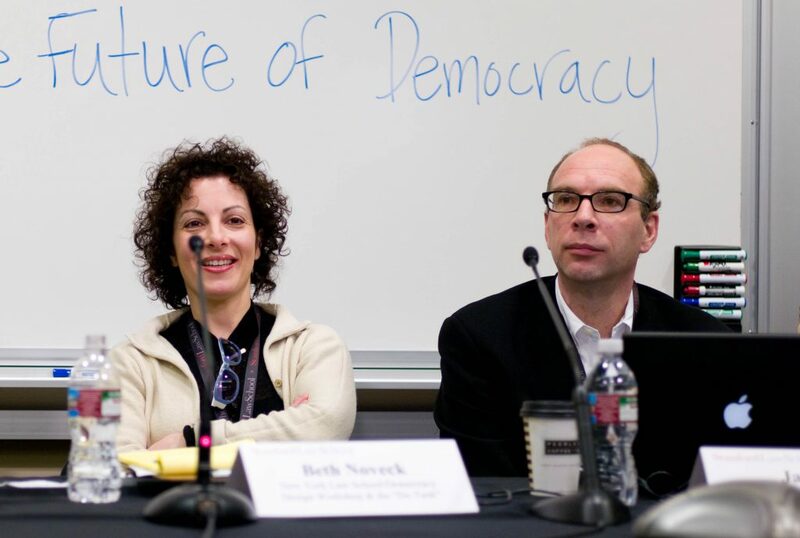 Noveck repeatedly refers to corporate platforms – from LinkedIn to Facebook – when describing how the future of digital democracies should ideally appear. Regarding the fundaments of cybernetic politics, it is essential to understand that, from a cybernetic viewpoint, message content has mostly no essential value for politics. As the engineer Claude Shannon envisioned in the beginning of the 1940s, the meaning and semantics of a message can be considered irrelevant insofar as information is thought of as a measure of freedom of choice: ‘The two messages between which one must choose,’ he argues, ‘can be anything one likes. One might be the text of the King James Version of the Bible, and the other might be ‘Yes’.’ Rather than on meaning, Shannon’s focus was on reducing noise where possible and on reinforcing smooth and predictable communication within governable channel systems. In fact, he even drew an explicit distinction between information and meaning, adding that the terms must not be confused. 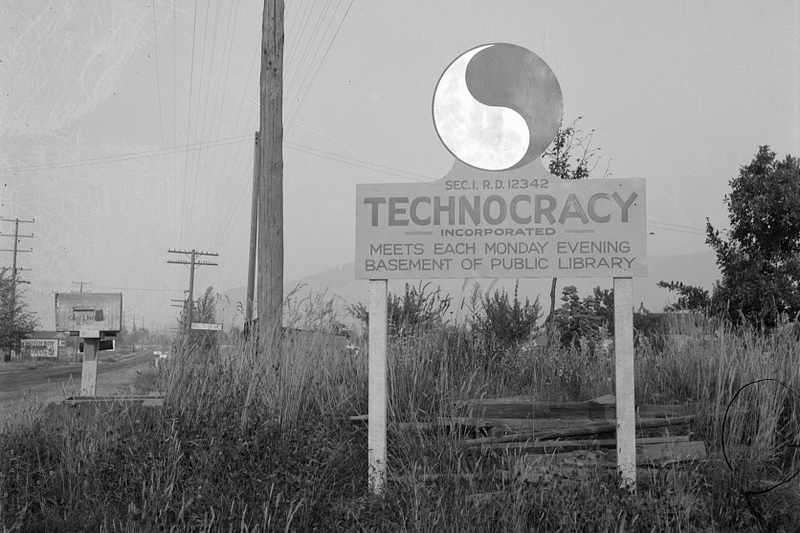 Technocracy is a term first coined by the Californian engineer William Henry Smyth in 1919. In the 1920s and 1930s it gained popularity through the so-called “technocracy movement” in the US and Canada, which proposed to replace politicians with engineers. Although Shannon’s Mathematical Theory of Communication had no explicit political connotation, Karl Deutsch’s subsequent The Nerves of Government, which explicitly drew on Shannon’s information theory, was exclusively focused on the state. In what appears like an almost logical political conclusion drawn from Shannon’s reductive focus on information, Deutsch was convinced that the level of democratisation is directly related to the intensity of measured communication. For him it was equally irrelevant which contents run through the channels of communication, whether the information flow concerns the banality of consumption or a political movement, as long as autopoietic mechanisms of self-learning automatically lead to a new balance (homeostasis); a new controllable order. Nevertheless, for both classically cybernetic and neo-cybernetic politics, a certain level of anarchic contingency, even resistance and, thus, disorder, has always been vital. They keep the system in motion which, through additional information, offers the possibility of its optimization, expansion and regulation – to continually establish newly ordered wholes. Seen from the meta-perspective of cybernetic regulation, what is important is not what and how one communicates but rather that one communicates, that the information flow is continually kept alive and that it follows a foreseeable, anticipatable direction. The information flow must not be suppressed or restricted but, instead, reinforced and encouraged. The problem of representation and the divergence between the rulers and the ruled, including the classic political-theoretical problem of how to overcome or mediate this divide, has – according to the cybernetic conception of government – become partially obsolete. In fact, it is thought to be resolved by a conception of politics that can continually establish orders through a real-time regulation of crowds, masses and affects. The political task par excellence becomes the (direct or indirect) creation of order(s) from noise, whereby the state’s goal is reduced to its mere systematic survival, what Habermas termed – in a more critical vein – equivalent to ‘the biological base of survival at any cost, that is, ultrastability.’ This term ‘ultrastability’, popularized by Ross W. Ashby in the early 1940s, is derived from the mechanisms of a classic homeostat, a device that reacts to external signals with the aim of self-regulating through constant feedback, thus reaching constant, stable states. More systemically, ultrastability can be defined as the capacity of a system to adapt smoothly to unpredicted changes by reducing noise. Early political cyberneticist Eberhard Lang went so far as to think of the general will as ultimately and solely concerned with the ‘absence of disturbances’ – a notion that seems reminiscent of Khanna’s aim to provide the greatest efficiency of a nation’s people at any cost. 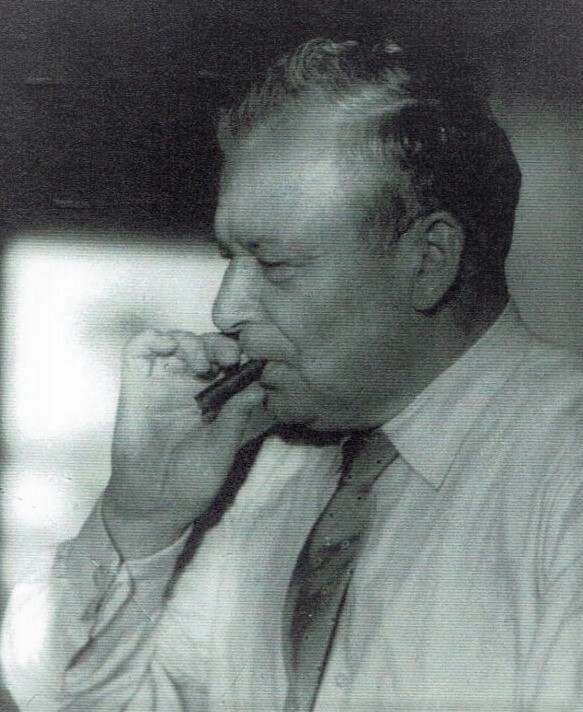 Hermann Schmidt, the founder of cybernetics in Germany. In particular, Noveck’s last comment translates cybernetic management-pioneer Stafford Beer’s early vision of what he termed a ‘democratic machinery’ into the vocabulary of contemporary information technology. Sure, the idea of government as referred to by Noveck is far from that of an Opsroom with few steersmen acting on the basis of information, as Beer envisioned for the sake of cybernetically controlling Allende’s Chilean economy of the early 1970s. It seems closer to Beer’s never actualized project Cyberfolk, a form of a cybernetic nerve system established between the demos and the politicians, enabling the former to rate the latter via so-called ‘algedonic meters’ (pain-pleasure buttons on their TV) in real time and based on a vision of radical transparency. Noveck would arguably welcome such quantified direct-democratic mechanisms, as we will elaborate further on. In Noveck’s approach, the role of the government should be reduced to the role of a facilitator, its primary goal being to establish a ‘platform for coordinating citizen action’ based on the mechanisms of a dedicated feedback logic. A pragmatic actualization of at least some aspects of early cybernetic visions of the state becomes evident, such as examined by Karl Deutsch, who, as mentioned, envisioned democratic politics as exclusively depending on its measurable level of information flows, ‘emancipated’ from deliberation, lengthy parliamentary discussions, arguments and what Habermas thought of as communicative action. Although Noveck provides a political approach that is far more participatory in its design than that of Parag Khanna or Karl Deutsch, her approach nevertheless reveals serious problems regarding issues of participation and equality. That is, Noveck addresses the problem of governance (which she, for the most part, uses as a substitute for politics in toto) as a coordination and logistics problem that urgently needs to be solved using better, or smarter, technology. According to her, the issue is to widen ‘the pool of potential problem solvers (…) with good solutions to a hard problem.’ A similar notion becomes evident in Khanna’s vision of what he considers a ‘smart’ state, in which progress should be measured according to so-called ‘KPIs’, or key performance indicators: much of the advantages that Khanna lists are concerned with smooth functioning, logistics and better service. One Singaporean example that he mentions affirmatively is the installation of touchscreen iPads for citizens to rate the state’s public toilet and passport check services. 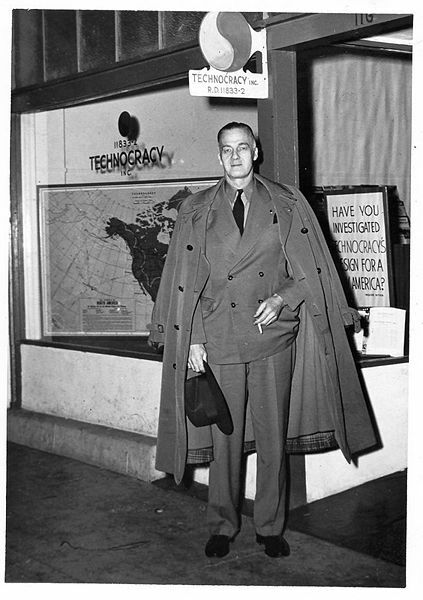 The engineer Howard Scott, who was the leader and founder of the technocracy movement. To return to Noveck and the problems that some of her arguments raise, while she criticizes the lack of integration of citizens into the process of governmental decision making and institutional design, she eventually rejects expert professionalism in governance and political thought only to propose an integration of a different body of experts that includes, above all, technicians. Criticism of political elitism eventually leads to promoting a new elite that is, first and foremost, in possession of smart, ‘practical know-how’. At the same time, the role of the citizen is mostly reduced to providing information. In this context, Noveck refers to what she calls ‘an army of citizen scientists reporting data through an app’, which she mistakes for actual ‘participation in government’, or what Arendt would term political action [Handeln] as opposed to, and precisely not correlative with, fabrication [Herstellen]. Even though Noveck proposes a model far more inclusive than Khanna’s army of state-rating citizens, her state design has limitations of its own. It is quite telling that she explicitly criticizes Habermas’s discourse ethics for only stressing the necessity of mediated forms of public discourse, i.e. a discourse that depends on institutions (such as, traditionally, the print media). Habermas, she argues, undermines more direct participatory roles that citizens could play at the level of governmental decision making. She leaves out Habermas’s revitalization of autonomous judgment, argumentative participation in public discourse and the normative framework initiated through public debate, and only emphasizes immediate data delivered to the government. In her neo-cybernetic agenda she leaves little room for the formation of discursive political will and so implicitly repeats Khanna’s belief that political representatives spend ‘too much time arguing rather than doing something’. In Noveck’s model, general participation is reduced to reporting systemic disruptions, whereas participation in decision making is open to only those obtaining the relevant knowledge or know-how that might contribute to solving a particular problem. Moreover, according to Noveck, such ‘citizen experts’ should be listed publicly and ranked according to their individual capacities, in close cooperation with private platforms, such as LinkedIn and Coursera, on which citizens can publicly inform others of their progress, newly awarded certificates and so on. It seems like she proposes highly competitive, market-driven forms of self-organisation, that is, self-governance that largely relies on 360° feedback models. Such forms of self-organisation implicitly propose decentralized governance through flexible markets that allocate individual capacities. Politics is limited to coordinating expert knowledge with the aim of finding relevant technical solutions in real time. Additionally, Noveck claims, such ‘expertise’ can be attained by ‘anyone’, since technical education is now available ‘freely’ through Coursera and other similar platforms. She thinks of expertise as being ‘democratized’ simply through internet access and access to (corporate) platforms without considering prior issues of equality. Such prior issues can include potentially unequal distributions of free time, potentially unequal access to resources, the ability to attain such knowledge and issues of privacy and transparency regarding the use of personal data, among others. In this context, even more problematic is Noveck’s explicit reliance on nudging techniques, as elaborated on in Thaler’s and Sunstein’s much-discussed Nudge (according to a recent report, behavioral economics has already affected policy initiatives in more than 130 countries, whereas the frames of application usually remain rather non-transparent). Noveck affirms what Thaler and Sunstein call the implementation of a ‘libertarian paternalism’: the aim of influencing, subtly controlling and, above all, anticipating human behavior through changing choice architectures, whilst at the same time delegating responsibility to the level of the individual in a typically neoliberal fashion. Probably little surprising, such a limited understanding of freedom can indeed be traced back to the historical origins of cybernetics, particularly the aforementioned Stafford Beer. Although he, politically speaking, followed a diametrically opposed agenda, namely, a socialist model, he defines freedom as a ‘computable function of effectiveness’. This understanding hints at the intellectual mindset of another and particularly debatable pioneer of neo-cybernetic politics: Alex Pentland. Another problem with Pentland’s agenda to datafy the social can best be described by the media philosopher’s and mathematician’s Dieter Mersch’s recent diagnosis and critique of cybernetics. As Mersch argues, throughout the history of cybernetics the notion of participation has been reduced to merely equal access (this could also be said of Shannon’s mathematical understanding of communication). As Mersch reminds us, participation stems from the Latin ‘participatio’ and originally means ‘Teilhaftigmachung, Teilnahme, Mitwirkung [contribution]’. According to the media theorist, the concept itself however rests on a certain ambiguity, as it does not specify what participation relates to or how far it goes, or what it encompasses: ‘The ‘Mit-’ [with] in ‘Mitsein’ [being-with] remains as indeterminate as the forms of participation’. Mersch claims that particularly cybernetics rests on a reduced understanding of participation, thus implying a limited notion of both the social and the political, which are neither deducible from a sole technical infrastructure or logistical setting nor necessarily follow from it. As is particularly evident regarding current forms of the social – such as ‘social’ networks – the exclusive focus on technical infrastructure and coordination almost automatically reinforces the predominance of mathematics and a mathematical imaginary, thus producing what German sociologist Steffen Mau has recently termed a ‘metric We’. This becomes especially evident with regard to Pentland’s neo-cybernetic vision of what he terms ‘social physics’: whereas his governance approach essentially rests on participation, it is not at all concerned with what Mersch (drawing on Jean-Luc Nancy) refers to as the ‘Mit-’ of ‘Mitsein’: a shared dimension of the social that cannot be (technically) constructed but is always precarious, a horizon at best which is still to come. As such, Pentland’s vision of governance illuminates the difference between sociopolitically rich and sociopolitically limited notions of participation. Seen from a political viewpoint that considers individual autonomous judgment as a necessary precondition for self-determined political participation, Pentland’s behavioristic focus on the homo imitans and on adaptable behavior is particularly alarming. Close to what Obama advisor Sunstein has popularized under the rubric of ‘nudging’, that is, a form of choice architecture that seeks to subconsciously influence or push human behavior in ‘more reasonable’ directions, Pentland seeks to influence the interrelations between humans. He distinguishes this ‘peer-to-peer behavior’ from ‘individual behavior’. The former largely rests on adaptation, a term that became extremely popular during the rise of cybernetics as a science (for instance, in the works of W. Ross Ashby and Norbert Wiener). Pentland wants to shape the social fabric by implementing quantifiable incentives that modify interactions. Such a focus on the network is, according to him, twice as efficient as focusing on an isolated individual. One of Pentland’s experimental examples refers to the attempt to raise the overall activity level of a group during a lazy winter. Two groups existed: one in which people were rewarded with a specific amount of money according to their activity level and a second one in which people were assigned buddies. In the second group, a reward was given not when one had maximized one’s own activity level but if one’s buddy increased his or her activity. In other words, your buddy was rewarded for you being active and vice versa. Pentland’s experimental results showed that the second group was far more effective given the extent of interactions between people and the structures of mutual control and responsibility established between them. What becomes evident here is a shift from depicting the human as capable of autonomous judgment to behavioristic models that have given up on the idea of the autonomous decider. Indeed, this holds not only for the shift from homo oeconomicus to what is now deemed behavioral economics in economic theory; the same occurs in political theory, which long rested on the idea of the individual as a rational decider or the picture of the enlightenable citizen, but is now considered a ‘system’ even by political theorists and sociologists (examples are the German sociologist Armin Nassehi, who recently argued for a smart steering of the social or political scientist Philip Howard in his Pax Technica). The individual is no longer conceived as an entity, but depicted as a ‘divisum’, as Günther Anders termed it very early on: dissociable, divisible and partly shapeable, whereby the distinction between activity and passivity becomes obsolete. To return to the issue of freedom, even though the implementation of choice architectures and the redesign of what Pentland terms ‘the social fabric’ are far from directly determining or immediately violating free choice – Sunstein and Thaler have repeatedly emphasized that they seek to preserve ‘freedom’, thus calling their approach ‘libertarian paternalism’ – they seem hardly compatible with either positive or negative freedom precisely because influence on individual behavior works primarily on the subconscious level. The end of Politics as we Know it? To conclude, these examples ranging from classical cybernetic concepts of the state to their neo-cybernetic pendants shed light on a paradigm shift that concerns the very fundaments of our understanding of politics and the political, and that calls for reflection as such. 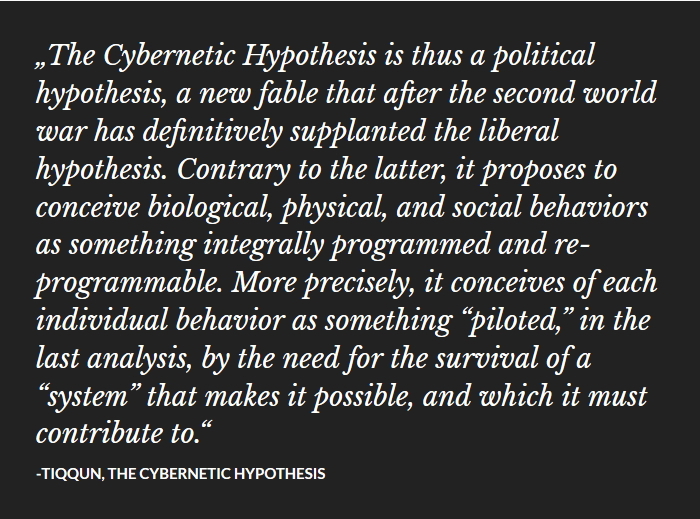 As Tiqqun provocatively argued some years ago, the ‘cybernetic hypothesis’ expresses nothing less than ‘the politics of the ‘end of politics.’’ Our examples show how the cybernetic notion of politics offers at best a reduced understanding of it – an understanding that is already imminent to Shannon’s influential theory of communication and that still shapes neo-cybernetic concepts of the political. The most worrying aspects of such an understanding are the absence of any notion of democratic deliberation and antagonistic dissensus on the one hand, and the overarching focus on avoiding noise, irritations and emancipation, on the other hand. The formation of long-term political will is replaced by a direct response to immediate needs. And thus, politics is tendentially reduced to feedback. It can be argued that the stylization of digital technology to the ultima ratio of producing allegedly stable, self-settling orders solely based on the mechanisms of algorithmic problem solving, has opened entirely new spheres of influence that will eventually establish what media theorist Roberto Simanowski terms a ‘numerocracy’: a quantified society partly self-regulated through real-time data flows. Correspondingly, Evgeny Morozov speaks of a general tendency towards ‘solutionism’ by which he addresses politics’ increasing reliance on technology solutions and other cybernetic techniques, such as behavioral economics, evaluations and ranking lists, or more generally, the setting of incentives and feedback loops to reinforce regularity. Anna-Verena Nosthoff is a PhD candidate at the institute of sociology at the University of Freiburg, Germany. She currently teaches at the University of Vienna. She has published on critical theory, aesthetic resistance, and technical politics, in edited volumes and academic journals such as Behemoth, Cultural Politics, Culture, Theory & Critique, Critical Legal Thinking, Critical Research on Religion, among others. Her most recent essays on (neo-)cybernetic politics appeared in Public Seminar, Merkur, Die Republik, Internazionale, Spex and Neue Zürcher Zeitung (Feuilleton). She is co-editor of the journal engagée, a journal committed to political and philosophical interventions. Felix Maschewski is a PhD candidate at HU Berlin/ Princeton University and a member of the PhD-net ‘knowledges of literature’. He is also a research associate at Institut für Wirtschaftsgestaltung Berlin. Alongside academic essays he most recently contributed to Public Seminar, Merkur, Die Republik, Internazionale, Spex and Neue Zürcher Zeitung (Feuilleton). He is editor of the journal engagée, a journal committed to political and philosophical interventions. Anders, Günther, Die Antiquiertheit des Menschen, Bd. I. Über die Seele im Zeitalter der zweiten industriellen Revolution, Munich: C.H. Beck, 1980. Anders, Günther, Die Antiquiertheit des Menschen, Bd. II. Über die Zerstörung des Lebens im Zeitalter der dritten Revolution, Munich: C.H. Beck, 1998. Habermas, Jürgen, Technik und Wissenschaft als Ideologie, Frankfurt a.M.: Suhrkamp, 1968. Howard, Philip N, Pax Technica. How the Internet of Things May Set Us Free or Lock Us up, New Haven, CA: Yale University Press, 2015. Khanna, Parag, Technocracy in America. Charleston, South Carolina: CreateSpace, Independent Publishing Platform, 2017. Lang, Eberhard, Zu einer kybernetischen Staatslehre. Salzburg: Pustet, 1970. Noveck, Beth, Smart Citizens, Smarter State. The Technology of Expertise and the Future of Governing, Cambridge, MA: Harvard University Press, 2015. O’Reilly, Tim, ‘Government as Platform,’ in: innovations, vol. 6, no. 1,2010, available at: http://www.mitpressjournals.org/doi/pdf/10.1162/INOV_a_00056. O’Reilly, Tim, ‘Open Data and Algorithmic Regulation’, available online: http://beyondtransparency.org/chapters/part-5/open-data-and-algorithmic-regulation/ (last accessed May 15, 2017). Pentland, Alex, Social Physics. How Social Networks can make us smarter. London: Penguin Books, 2015. Seibel, Benjamin. (2016) Cybernetic Government. Wiesbaden: Springer. Shannon, Claude/ Weaver, Warren, The Mathematical Theory of Communication, North Yorkshire: Combined Academic Publishers, 1949. Simanowski, Roberto, Facebook-Gesellschaft, Berlin: Matthes & Seitz, 2016. Sunstein, Cass R.; Thaler, Richard H, Nudge. Improving Decisions About Health, Wealth, and Happiness, Yale: Yale University Press, 2008. Stop the EU’s Services Notification Procedure – municipalities need democratic space to protect the interests of citizens! ← Stop the EU’s Services Notification Procedure – municipalities need democratic space to protect the interests of citizens!